You are here: Home / Law School Admissions / How Does the Law School Application Process Work? How Does the Law School Application Process Work? Unlike applying to college, which is pretty straight-forward process (at least in retrospect), applying to law school can feel a little labyrinthine. Transcripts, Law School Reports, letters of recommendation, the Credential Assembly service, addenda…after a while, it can all start getting jumbled up. Right around this time of year, I start getting so many “I’m confused. Help!” emails that I find myself there was a quick and easy guide to the process. To do my part to help, here is my Guide to the Basics About Applying to Law School. It is not exhaustive by any means, but it’ll give you a good place to start–and may answer quite a few of the questions you have about the process in the meantime. Junior year: Student decides he/she wants to apply to law school. 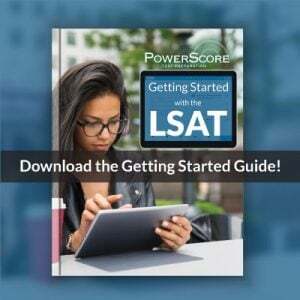 June after Junior year or October of Senior year: Student takes LSAT (if you need help deciding which LSAT you should take, take a moment to read this Which LSAT should I take?). 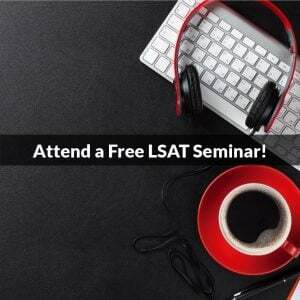 If you are taking the June LSAT, study for it during your Junior spring semester. 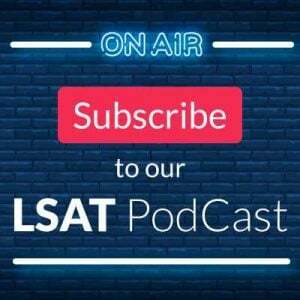 If you are taking the October LSAT, study for it the summer between Junior and Senior year. If possible, take the June LSAT. This will allow you to get the LSAT done before the summer, and then devote the summer to preparing your applications. October through January of their Senior year: Student submits applications to law schools. If possible, do not study for the LSAT and put together your applications at the same time. Both can be quite time-consuming, and each is best done on its own. However, if you cannot devote individual time to each, sit down and determine schedules to ensure that they can get both done effectively. If possible, spend the summer working on all the elements of your application (see “Elements of an application” below). Submit your applications as soon as possible after applications become available (typically September/October). This is because most law schools work on rolling admissions, meaning they consider applications as they “roll in.” Applying early could potentially give you a slight advantage over later applicants–and any advantage, however minute, is a good advantage. March through May (and potentially through the summer): Student gets decision letters from law schools. If you are admitted to at least one school, then your work is done. Now you just have to wait for the responses from the rest of the schools you applied to, make your school selection, send in your seat deposit, and wait for September to come so you can start school. If you need to defer your start date, read this. If you’re waitlisted, follow the protocol noted by the school in the waitlist letter they sent you. If the school doesn’t list any specific protocol, send a letter of continued interest to the school, and keep in touch with the school regarding any significant changes to their file (new grades, awards, jobs, contact information). Read this for a more in-depth analysis of what you should (and shouldn’t) do if you’re waitlisted. If you are (unfortunately) rejected, you may be able to appeal the decision, although most schools don’t have this option. If you would like to appeal the decision, you need to contact the school and find out the appropriate protocol for doing so. September/October: Students starts law school..
Law schools don’t consider applications until they are “complete.” “Complete” means that every aspect of the application has been received by the school. This is different from the college application process, where schools often consider applicants even as different parts of the application trickle in. Students do not typically “snail-mail” anything in to school. Instead, almost all schools require or recommend that students apply through the Law School Admission Council’s Credential Assembly Service (CAS). Essentially, LSAC’s CAS acts as an information clearinghouse: Students submit or upload all their information to LSAC, which then compiles into files and sends it directly to each law school to which a student is applying. LSAC will not send applications to schools until all required aspects of the application have been submitted and processed. LSAC handles almost every aspect of the application, from compiling the information to processing the application fees for schools. The only thing they do NOT handle is actually requesting the different parts of each application; each of those must be submitted either by the student or submitted by a third party at the student’s request (see “Elements of an application” below). Almost all law school applications will have the following components: The application itself, a personal statement (essay), letters of recommendation, transcript(s), LSAT score(s), a Law School Report, a résumé, and additional optional essay(s). Make sure you know what you’re responsible for, and what other people need to do for you. The application: This is found on the LSAC website, and is completed by the student. It asks all the typical application questions: biographical, academic, extracurricular, and conduct information. This can be completed online directly into the LSAC website, and saved. The personal statement: This is an essay required by almost all schools which is written by the student and then uploaded by the student onto the LSAC website. While it can talk about why the student wants to go to law school, it doesn’t necessarily have to do so. Sometimes, schools have specific topics they’d like the student to address; in that case, we recommend the student stick to those topics. The letter(s) of recommendation: The student requests these from either professors or employers. These recommenders, after writing the letters, send them directly to LSAC, along with a cover sheet available on the LSAC website. These are then processed by LSAC and are added to the student’s file. It can take up to 2 weeks to process these letters. Transcript(s): The student requests these from all undergraduate institutions s/he has attended. The institution the submits them directly to LSAC, along with a cover sheet available on the LSAC website. These are then processed by LSAC and are added to the student’s file. It can take up to two weeks to process transcripts. LSAT score(s): The student does not have to submit these scores to LSAC. LSAC, as the administration of the test, already has these scores on file, and automatically links them up to the student’s record. Law School Report: This is a report compiled by LSAC which includes the student’s LSAT scores, LSAT writing samples, academic summary (essentially all of the student’s undergraduate grades), copies of all transcripts (undergraduate, graduate, professional), copies of all recommendation letters. This is automatically put together by LSAC, and sent to school to which the student has applied. Résumé: The student puts this together and uploads it to the LSAC website. Additional optional essay(s) and addenda: These are written by the student based on the requirements of each school or your own specific circumstances, and are then uploaded to the LSAC website by the student. And there you have it. Those are the basics of the process. Of course, there’s a lot more intricacy to it once you actually start putting things together, but getting the basics down will ensure that you spend more time on the finer details, and less time just trying to navigate your way around what can be a very confusing process. And, if you have any questions, know that there are always people available you can ask (pre-law advisors, professors, law school admissions staffers, admissions consultants). No one will think less of you for asking the basic questions–in fact, we wish more people would!